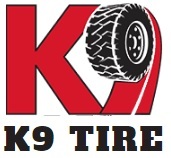 If you require lift gate delivery service for your TIRE MACHINE an extra $100 service fee is required. 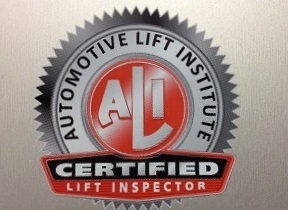 Automotive Lifts/Hoists are too big and heavy to be delivered with lift gate delivery service. Please open and inspect your item(s) immediately upon receipt. If you received a product that you believe has a manufacturer's defect, please contact Your Next Tire. Products that you receive via freight truck (which appear damaged) should be either "refused" or "accepted" with notes made on the bill of lading as to obvious damage. Pictures will also be helpful in filing a freight claim. Scratches and scrapes are normal when shipping something this big and heavy. This will not hurt the performance of the lift. If there are dents or something is bent, please take pictures & sign the Bill of Lading with a notation of the damages and call us. Please read the labels we attach to outside of your product. Small packages that are delivered and appear to have been damaged should also have notes made on the delivery receipt. All freight issues need to be communicated to Your Next Tire within 24 hours of receipt so that freight claims can be filed. We will do everything possible to make sure that the problem is resolved quickly and to your satisfaction. Defective or damaged items will be replaced or repaired at OUR discretion. If there is no replacement part available, you will be notified and given the option of returning the item for a full refund. Please allow 5-7 business days for your replacement to ship. All damage and/or shortage on orders must be reported within 7 business days of receiving the shipment. Any damage and/or shortage not reported within that 7-day time frame will be the customer's responsibility to replace or repair.